“Growing Pains” Cast Then & Now: Where are the “Growing Pains” Cast Mates Today? With the recent tragedy of Alan Thicke’s death, the spotlight has turned once again to the cast of probably his best-known work, Growing Pains. The Growing Pains cast had a bit of a bittersweet reunion at Thicke’s memorial service, and we’re bringing you all the details on where they are now. Running 168 episodes over seven seasons, Growing Pains was a big hit for ABC, but many of the cast members have kind of disappeared from the spotlight, with the exception of Leonardo DiCaprio. Here, we take a look at the Growing Pains cast then and the Growing Pains cast now and even a few Growing Pains cast pics. After a varied career as wide-ranging as his, Thicke will best be remembered as Dr. Jason Seaver on Growing Pains. But after the show ended, Thicke kept busy with numerous supporting roles and even hosting a number of beauty pageants. He would gain a bit more notoriety with younger generations as Robin’s dad on How I Met Your Mother. Joanna Kerns played mom and tenacious reporter, Maggie Seaver on Growing Pains for all seven seasons. After the show ended, she kind of fell off the map as an actor with small parts and guest spots on multiple television shows like The Closer, Chicago Hope, and Less Than Perfect as well as appearances in films like Knocked Up. What you may not know is that Kerns has kept incredibly busy behind the camera as a director! Her first gig as a director was on the Growing Pains episode titled, “The Truck Stops Here” and since then, she has directed episodes of Grey’s Anatomy, Pretty Little Liars, The Goldbergs and much more. She recently directed Growing Pains’ co-star Kirk Cameron’s sister, Candace on two episodes of Fuller House on Netflix. 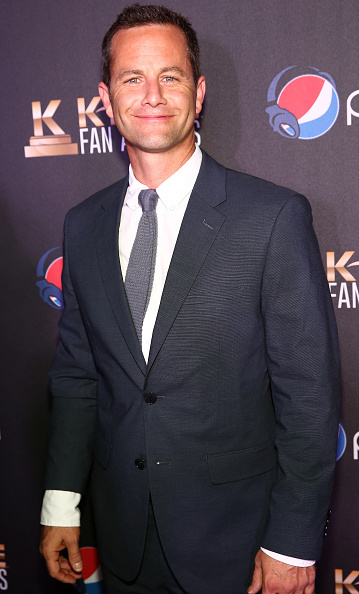 For a number of us, Kirk Cameron (who played Mike Seaver, the oldest child of the Seaver clan) faded from the national spotlight shortly after Growing Pains went off the air, but that doesn’t mean he hasn’t been busy. After Growing Pains, Cameron had a series called Kirk on the WB that last for two seasons, and then he left the mainstream route for the world of faith-based film and television. A Born Again Christian, Cameron has acted in several faith-based films, including the Left Behind series, Fireproof and Saving Christmas. But, he still made time to participate in two Growing Pains reunion movies, including 2000’s The Growing Pains movie and 2004’s Growing Pains: Return of the Seavers. He is married to Growing Pains cast mate, Chelsea Noble, and they have six kids. Tracey Gold portrayed the smartest of the Seaver children, Carol Seaver, during the entire run of Growing Pains with the exception of a few episodes in the 1991/92 season. Gold had developed a terrible battle with anorexia, which by 1991, could no longer be hidden. She sought treatment and eventually returned to the show for the rest of the series. After Growing Pains ended, Tracey appeared in numerous TV series like Touched by an Angel, Twice in a Lifetime and Melissa and Joey. She too made time for both Growing Pains reunion TV movies. Tracey is married and has three kids. Jeremy Miller played Ben Seaver during the entire run of the show and he too had some problems of his own. Miller was treated for alcoholism and is now a spokesperson for the center where he received his treatment. Miller hasn’t done much in the way of acting in the years following Growing Pains, but he did appear in a few things like 2015’s The Comeback Kids. Jeremy is married and has three step-sons. Ashley appeared as Chrissy Seaver, a late addition to the Seaver family, in the last season of the show. Chrissy had only been born the season before, so her age was accelerated to that of a toddler. After Growing Pains ended, Ashley would appear in several films like What Women Want and The Avengers, but has most recently made a splash back into the world of television and voice acting. On television, Ashley most recently appeared on the TV show, Blindspot. As a voice actor, Ashley has had big hits with Teen Titans, Ben 10: Omniverse, Tales from the Borderlands and the critical video game hit, The Last of Us. She also appears as herself on the web series, Critical Roll where she plays Dungeons and Dragons with a number of other actors, celebrities and voice actors. Leo was added on to the last season of Growing Pains as Luke Brower (a troubled youth that Mike Seaver decided to help out). We’ve heard that Leo went into film…and may have won an award or two. (Wink, wink.) 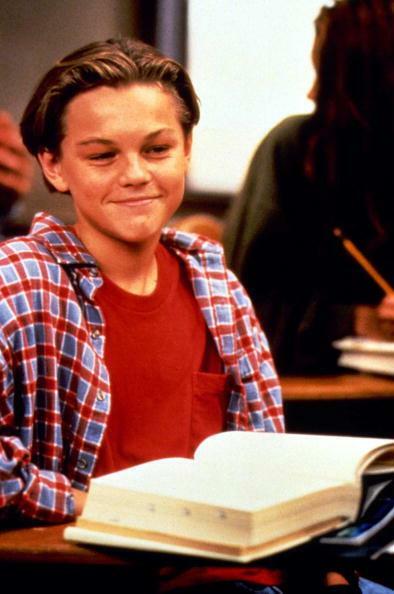 Of all the cast members to appear on Growing Pains, Leonardo DiCaprio, without a doubt has reached the highest achievements in fame! His celebrity status is so large now, that many forget that this is where he really made his acting debut! Looking back, who could have guess that troubled pre-teen on Growing Pains would grow into the star he is today.